A supermarket nutrition tour this afternoon became the 100th activity of Learning Life’s Citizen Diplomacy Initiative (CDI). Launched in August 2016 and now Learning Life’s flagship program, CDI engages lower-income American families in live dialogues and project collaborations with lower-income families in other nations to nurture more caring, capable global citizens. The first live internet dialogue, on August 27, 2016, connected two American families in Washington DC with a family in Dakar, Senegal. The second dialogue, on September 4, 2016, connected two American families with four Salvadoran families in Porto de la Libertad, El Salvador. Since then, we have completed thirty-three live dialogues with families in Washington DC, El Salvador, Senegal and Jordan, and sixty-seven project steps and supportive educational activities with our families in DC. Each project is composed of a series of steps or meetings, plus some supportive educational activities for our families or their kids in DC, where Learning Life staff are based. 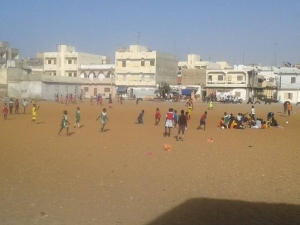 For instance, the first project completed in 2017 engaged CDI families in DC, Dakar and Jerash, Jordan in taking and sharing photos of their respective communities to learn about cross-national community patterns and changes. Steps in the community photo project included pre-surveying the families and introducing them to the photo project, families taking their first round of community photos, getting training in photography then taking a second round of photos before sharing and discussing them, culminating in an international community photo album of some 70 photos selected from the nearly 500 photos the eight participating families took. Supportive activities are intended to deepen our families’ understanding of material relevant to the projects they undertake together. 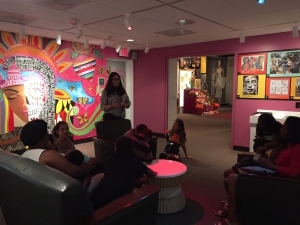 Accordingly, the first activity, on September 10, 2016, brought CDI families living in Washington DC on a tour of the Anacostia Community Museum in DC to learn about the community history of the nation’s capital. CDI families and kids in DC have since been to a number of metro area museums, embassies, cultural festivals, and other events. In the future, Learning Life hopes to offer such supportive educational opportunities to our families outside DC when we have staff on the ground in those communities with which we work worldwide. 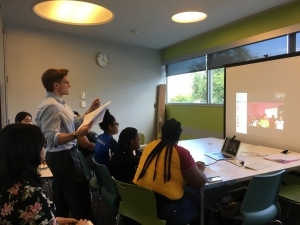 In the interim, through our new mentoring program, we will soon be offering American mentors to our CDI kids abroad who want a mentor to talk to via the internet to enrich their learning about the wider world, and to connect them to educational opportunities. Stay tuned for more news of developments in Learning Life’s Citizen Diplomacy Initiative!